A spiritual bouquet is an arrangement of spiritual roses, namely a gift of prayers, sacrifices, and alms pledged in writing and offered to God for an individual. 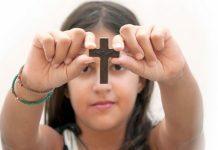 Typically, spiritual bouquets consist of prayers where the recipient receives not just the assurance of people’s charitable spiritual intercession, but also receives the gift of graces from God to carry on their spiritual mission on earth. 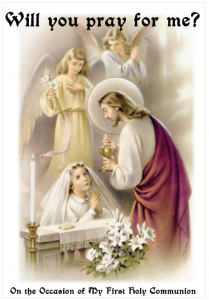 During the spiritual milestones of the Catholic life, such as first holy Communion, we desire and pray for the abundance of God’s grace to visit, strengthen, and invigorate the soul who receives the sacrament. This “Will You Pray for Me?” Spiritual Bouquet Keepsake Book is a beautiful way to remind family and friends to pray for the child’s soul. 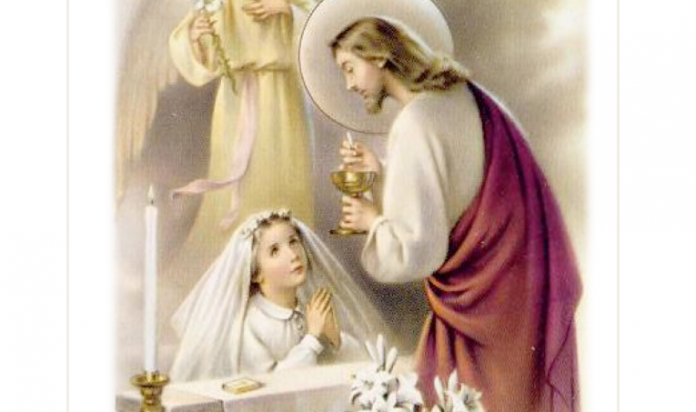 After the books have been created, the communicants can simply ask family and friends to write in their keepsake book, indicating the number and types of prayers they wish to offer, along with any additional messages they’d like to include. This craft can be easily modified for those being confirmed, as well! ■ Find an appropriate image or coloring page to fit for the front of the book. 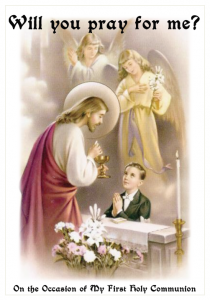 ■ Add the words “Will you pray for me?” to the top of the page and “On the Occasion of My First Holy Communion” to the bottom. ✱ Have students color the image (if applicable) and glue to the front cover of their book. May God bless you for your prayers and sacrifices on behalf of [name of recipient]. Dear St. Thérèse, thou were always good and obedient and always did the will of God. Now you are a great saint in heaven with God. Your loving and tender heart rejoices to send down roses upon earth. O, give me the sweet flower of a great love for Jesus! Pray for me that I may have all the graces I need.